Here are my thoughts about the 2015 Emmy nominees about whom I am most excited. View the complete list here. 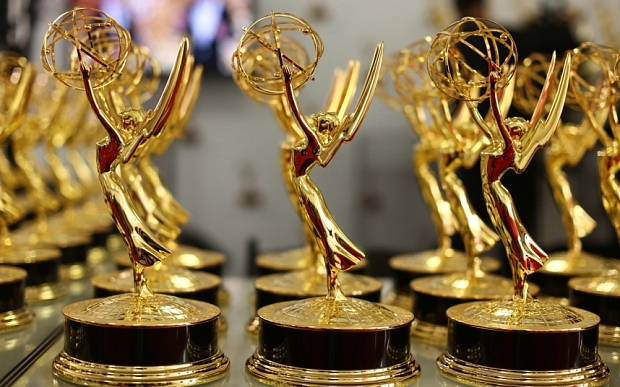 The 67th Emmy Awards will air on FOX at 8 p.m. on September 20, 2015.
always and forever. My Elisabeth. My Peggy. Favorite television character of all time. With all the changes going on, Peggy holds her own. Refusing to be treated as less than a creative-director-to-be, her choices have shown she is well on her way to achieving everything she has set out to achieve since the day she began to believe that it was all possible. Pete says she’ll be a creative director by 1980, which strikes Peggy as flattering, but she is unsettled by the prospect of a ten-year wait. I believe she’ll be there quicker. And, yes, I approve of Stan. I have for years. None of these outstanding traits of power, vulnerability, passion, and dedication would have been possible if Elisabeth Moss had not brought them to us. I have savored every single performance, and season seven is the culmination of Peggy as a woman who has figured out who she is. Moss has conveyed Peggy’s deep insecurities and brought her to a place of finding her own balance (not anyone else’s) of life as a career woman with love and friendships. It is her own balance because I do not for one second believe that Peggy actually believes in “balance.” She believes in getting done what needs to be done. Moss can deliver facial expressions that convey everything from sarcasm to helplessness. She offers one liners that deserve to be in some sort of hall of fame. Also during part 2 of season 7 she delivers two iconic moments—her strut into her new office after refusing to even enter the building until it is ready, shades, cigarette, moving box, and confidently defiant look completing the message that she is there to take care of business and nothing else,—and her roller skating routine through the old building while reminiscing with Roger. Elisabeth Moss brilliantly conveys Peggy’s new security that has allowed her to be herself at a level we have never seen. That level will make her an even huger success in the future years. While I’d love a spinoff about Peggy (I say she’ll rule the world by 1979), I am perfectly willing to leave Peggy at the end of “Person to Person” and have fun imagining what she’s up to. 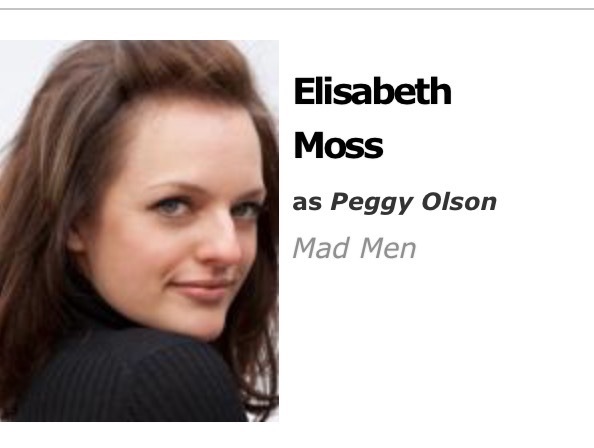 Thank you, Elisabeth Moss, for bringing life to Peggy. Joan realizes that she is, above all, a woman who can and will stand on her own feet. Step by step, we see this emerge. She wants her life on her terms, and her friends and colleagues know her professional abilities and seek out her expertise. This is what leads to Holloway Harris (because two names sound better than just one, of course). I love imagining how things are going for Joan—because I know she won’t be operating out of her apartment for much longer. Hendricks has interpreted restraint like none other, and blowups that I will never forget. 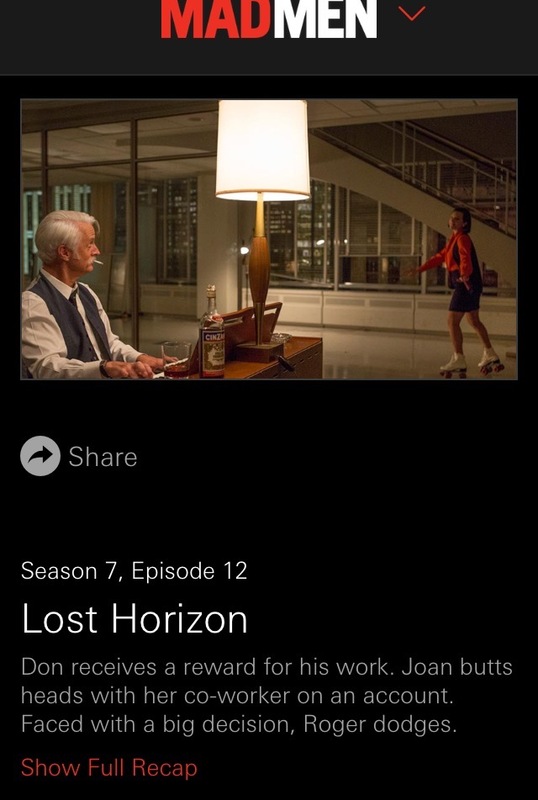 Hendricks’ gift of conveying, during part 2 of Mad Men’s final season, both verbally and nonverbally, everything that is Joan—knowing she is right when everyone else is clueless, feeling like, no matter how competent and frankly brilliant and smart she is, there are those who will only see her as an object, reveling in success but still feeling alone—is why Hendricks deserves this nomination, and why Joan Harris is a classic and unforgettable. 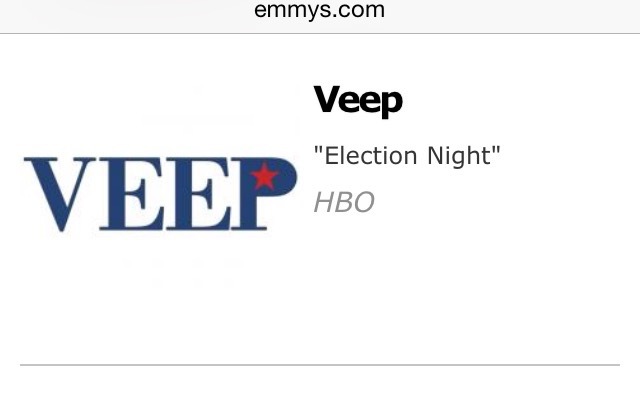 Mo’Nique can do anything, and this nomination is just another representation of that. 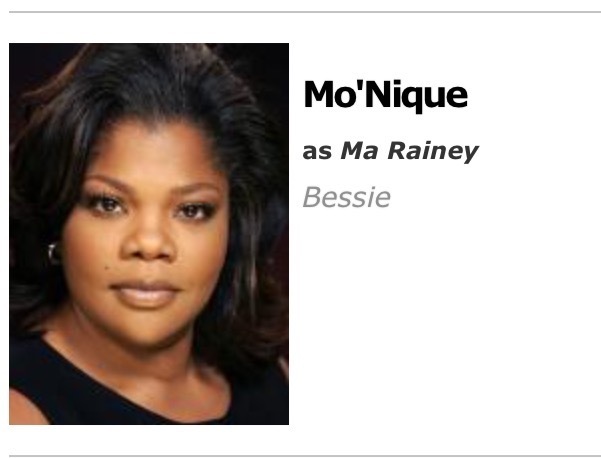 As a powerful and talented, yet compassionate true friend to Bessie Smith (Queen Latifah) in Bessie, she yet again shows the layers of a character who makes a way for herself despite forces constantly at work to destroy her. She is a beautiful survivor, and when the film returns to her near the end after departing to tell us the bulk of Bessie’s story, I was so so happy to see her again. Mo’Nique makes that excitement possible. 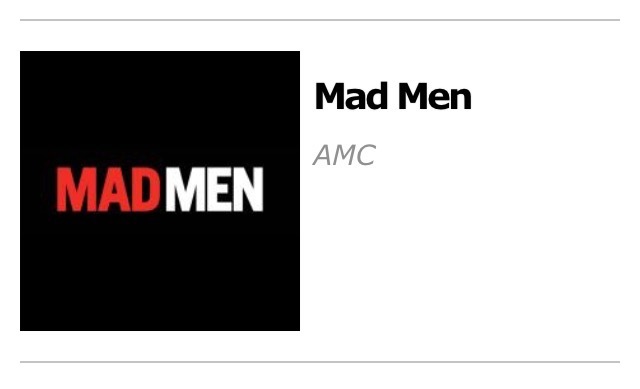 For Outstanding Writing for a Drama Series, congratulations to Mad Men’s Semi Chellas and Matthew Weiner and Matthew Weiner for the third-to-last-ever episode, “Lost Horizon,” and for the series finale, “Person to Person,” respectively. Of course, always and forever. 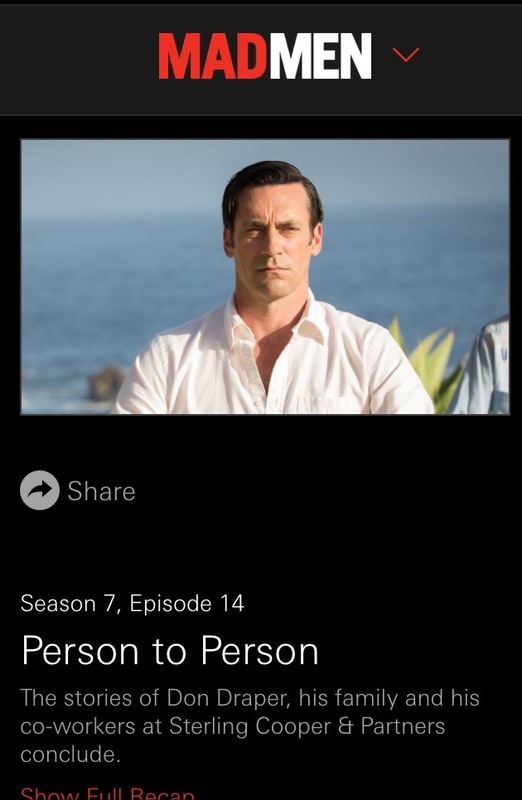 Mad Men – Outstanding Drama Series. Favorite television show of all time. This episode had me on the edge of my seat and completed a reminder of how much I love this show and how good it is. A cliffhanger—why am I always surprised when there is one? There is always one, and I must admit I love it. Here is a bit of a conversation about today’s nominations with my friend Erin. Follow her blog here. 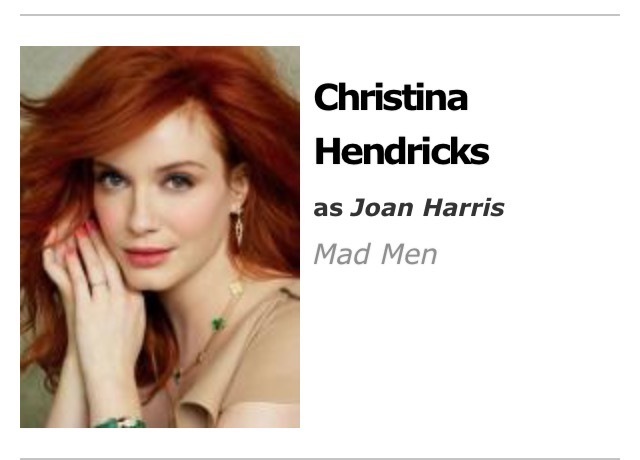 (Yes, Jon Hamm has two nominations!) 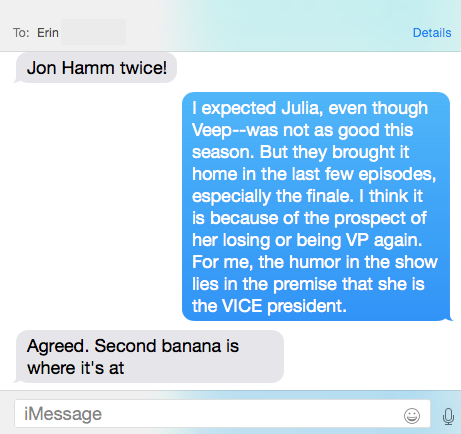 I will always stick by Veep. I love this show. It has me laughing until it hurts and I cry—especially the hospital scenes during the episode “The Fall.” I love Sam Waterston and Martin Sheen. I more than love Jane Fonda (I adore, admire, and idolize her). I am thoroughly enjoying the performances by June Diane Raphael (Brianna), Ethan Embry (Coyote), Baron Vaughn (Nwabudike), and Brooklyn Decker (Mallory). 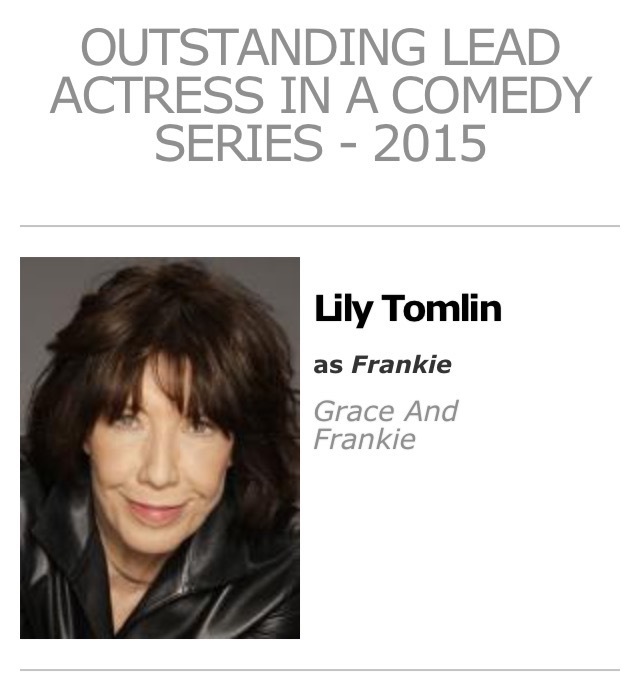 But of everyone, Lily Tomlin most deserves to be the one to get this nomination. She has made me laugh and cry at once. She has made me sit and wonder about how I deal with my own problems. She has made me sit in amazement about her talent. Her character, Frankie, is a hippie who teaches art to convicts and makes (and cans) her own (organic) personal lubricant. She vlogs with her iPhone and burns incense and even convinces her foil and friend Grace (Fonda) to try these techniques to get in touch with her subconscious—and it works! She has her weaknesses and cannot get over her husband who has just come out (Sam Waterston). When she is low, I am with her. When she is up, I cherish every moment. Frankie, I am with you. I am with Lily Tomlin in the ups and the downs she goes on with Frankie. She is remarkable. Watch Grace and Frankie.